There are many realms and dimensions that souls may visit once they leave their human body. The direction a soul takes upon departure from the body depends upon the state of mind a person is in when he or she dies. Some who depart suddenly or violently are not aware that they have died and may spend time wandering around the earth plane, confused. Others who are more prepared for the transition are greeted by loved ones on the other side. Those who were emotionally exhausted or who had been physically/mentally ill prior to death may go to a place of rest and recovery to allow the spirit to heal from its earthly experience. After a life review to determine areas that need work, the soul moves on to a level or dimension that matches its current vibratory rate where it may continue to evolve. Some more enlightened souls may be ready to assist as a spirit guide to a human who is in body. Those who spent their earth life engaging in selfish or harmful behavior may remain stuck in that mental condition, roaming around aimlessly until they realize they need to seek the Light and change their ways. While the sorrow and emotion we experience at the thought of death or the passing of a loved one is a natural part of the grieving process, the fear of death is an illusion created by misunderstanding about who we really are. We are spirit beings having a human experience. When our body can no longer accommodate our spirit, or when our earth mission is complete, we cease having a human experience. We are still spirit beings but our experience is different in the spirit realm. Our eternal soul is our true identity and it has consciousness and memory that will continue to exist in other realms and dimensions. Death is a portal or tunnel to another realm of consciousness, much like the one you passed through as an infant coming into this life through your mother's womb. Death is simply passing from one life to another. There is truly nothing to be afraid of regarding this transition. Perhaps you are facing the death of your physical body and have doubts or worries about what comes next. 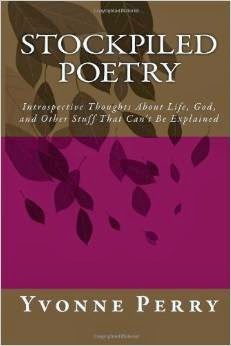 This book will assure you, there is life after death and the Afterlife is a wonderful place to learn, love, plan, and assess your spiritual growth. It is important to make spiritual progress while in the body, but even if you have lived a life that was less than loving here on earth, you will have a chance to revolve your karma and ask for help in the Afterlife because free-will is an irrevocable gift from our Creator. When you know the truth contained in More Than Meets the Eye, it will set you free! 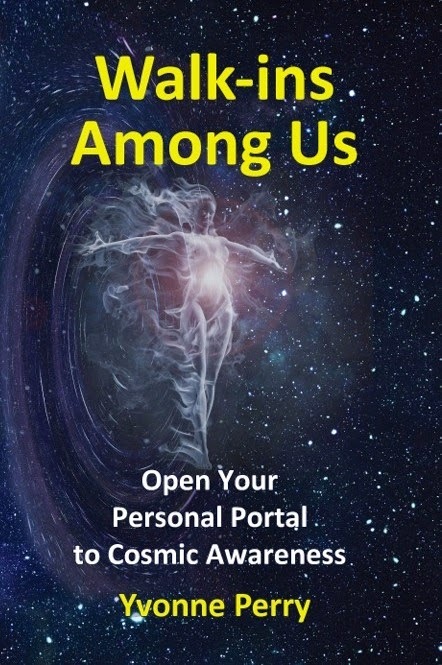 Let the love, spirit and energy of this book release you from your fear of dying and help you prepare for a pleasant experience in the Afterlife. We come to this planet with amnesia about our soul’s identity and live behind a veil in order to function as a human being. The brain does not consciously remember where the soul came from, but it seems as though a part of the soul remains on the other side and is able to subconsciously participate in both worlds simultaneously. This has been discovered through dreams, meditation, hypnosis, inner guidance, or psychic abilities. Read more about near-death experience in my book More Than Meets the Eye. I have brand new paperback copies of this book in my closet. I will personally sign and sell them for $10 each plus shipping. Those interested may contact me. There are many ways of coping with death. According to Elisabeth Kubler-Ross, a psychiatrist and prolific author of the ground-breaking book, On Death and Dying, there are five stages of the grieving process: denial, anger, bargaining, depression, and acceptance. Every person eventually passes through these five stages. It is wise to allow yourself to experience these stages as they unfold and let others come to terms with their loss and grief in a way that best suits them. 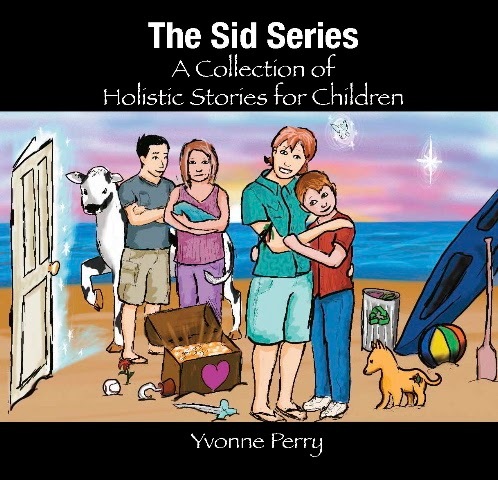 While interviewing for this book, many people revealed that they no longer wanted to live. They said they felt like strangers or misfits on the planet. In spite of having a relatively good life and not wanting to cause other people to grieve for them, they just wanted to go Home. Since this seems to be such a common thought among stressed out people living in a chaotic world, I addressed the topic with an entire chapter in More Than Meets the Eye. For now, here are some warning signs that someone might be depressed enough to be considered suicidal. If you or your loved one express these behaviors, please take it seriously and get professional help. 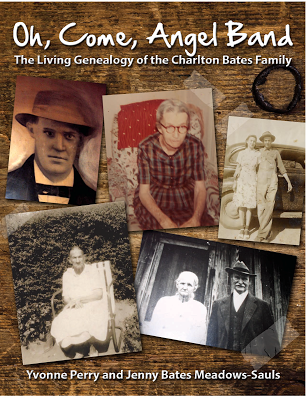 Almost everyone I interviewed for this book told me that they sensed the presence of their loved ones near them during the funeral, graveside ceremony and in the days following. I've had several encounters with earth-bound spirits. These are souls who may have recently left their body and have no direction what they should do next. Sometimes they stay only a few days before someone from the Other Side comes to assist them, but many times they remain stuck for decades or perhaps centuries. As a novice medium, I've had many of these spirits come to me for assistance. In one of my lunchtime drives through the cemetery, I came upon a fresh grave and felt compelled to stop. As I sat there eating my lunch, I became aware of a presence in the back seat of my car so I started a conversation with what felt like a male energy. I nodded toward the mound of red dirt and asked him if that was where they put his body. He affirmed that it was. I asked him why he was still hanging around in the cemetery. I told him to go to the Light, but he said he was afraid to because he hadn't lived a very good life. I told him that God loves him no matter what kind of life he lived. Then, I asked the angels to come and assist him in finding his place in the Afterlife. I heard him thank me as he was whooshed upward through the roof on the passenger side of my car. In More Than Meets the Eye, true stories of individuals and their encounters with near death experiences are shared. Yvonne Perry explains why death is not to be feared, why many of us do fear death, and ways to overcome our fears. We are given glimpses into what the afterlife holds. “Our fear of death is an unrealistic fear. Death should be feared no more than birth, for there is no separation between the physical and non-physical realms.” Perry gives comfort by stating that it does not matter what our religious background is, we may find comfort in knowing that our life on Earth is not all there is – that there truly is more than meets the eye! Featured as “book of the week” January 23, 2006 by Reader Views. 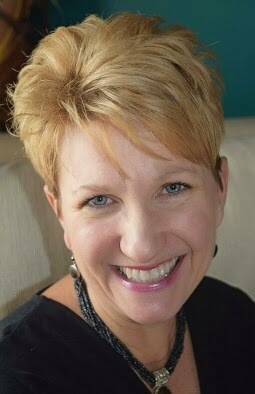 Kelli Glesige is a book reviewer with Reader Views. Get a free PDF of More than Meets the Eye when you subscribe to the author's free newsletter about writing, publishing, and book marketing. 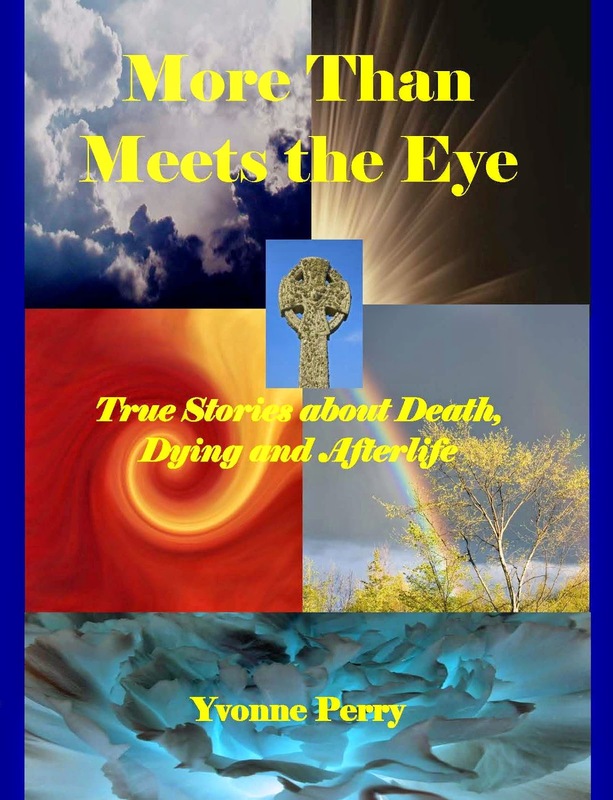 Irene: Yvonne, what inspired you to write More Than Meets the Eye: True Stores About Death, Dying and Afterlife? Yvonne: I have always been curious about the other side, but while my uncle was on life support for almost a year, I kept sensing that I was being visited by his spirit. Moments after he passed away, (before my mother called to share the news) I heard my uncle’s voice in my head and knew that he had passed. He told me what songs he wanted me to play and sing at his funeral. I hadn’t yet been asked to play, but when my mother did call to tell me my uncle had passed, she also requested I sing and play for the funeral. Of course the songs my aunt picked were the same songs my uncle had requested during his supernatural visit. I sensed my uncle’s presence at the ceremony so strongly that I could only smile while everyone else was crying. To me, he had not “gone” anywhere. He was closer than ever. Irene: Did you have a close connection with your uncle while he was alive? Yvonne: Not really and that is why it was so strange that he chose to connect with me. He lived at least twenty hours away so I only saw him once a year. Somehow our spirits were more connected than our lives intertwined. Irene: Your book is about quite a touchy subject that most people are afraid to talk about. How would you encourage people to face the subject and read your book? Yvonne: I think most people are afraid of things they do not understand, and they either try to avoid the matter or find a way to invalidate their experience. The American view of death and afterlife is deeply rooted in fearful superstition and religious dogma that suggests punishment for sin. Much of this does not align with the experiences had by people who have had a glimpse of the other side. Due to fear of being rejected by family, friends and religious organizations, people are not comfortable sharing anything that veers from the path of what society considers “normal.” I find that when I talk about my spiritual experiences, people are genuinely interested and they feel safe enough to share similar encounters they have had. Once the ice is broken, they find the conversation so comforting and liberating, they want to read my book. Irene: What do you mean by spiritual experiences? Yvonne: communicating with the spirits of deceased people, having non-physical beings (angels, guides) interact with me, remembering parts of my past lives, picking up on another person’s energy field i.e. : knowing what is going on with them physically, emotionally and spiritually. Irene: In your book you talk about experiences that some people have had. Most have the same experience. Would you please tell us about the commonality that occurs? Yvonne: First, I need to determine if you are referring to the near-death or out-of-body experiences or to spirit communication with the deceased. 1. 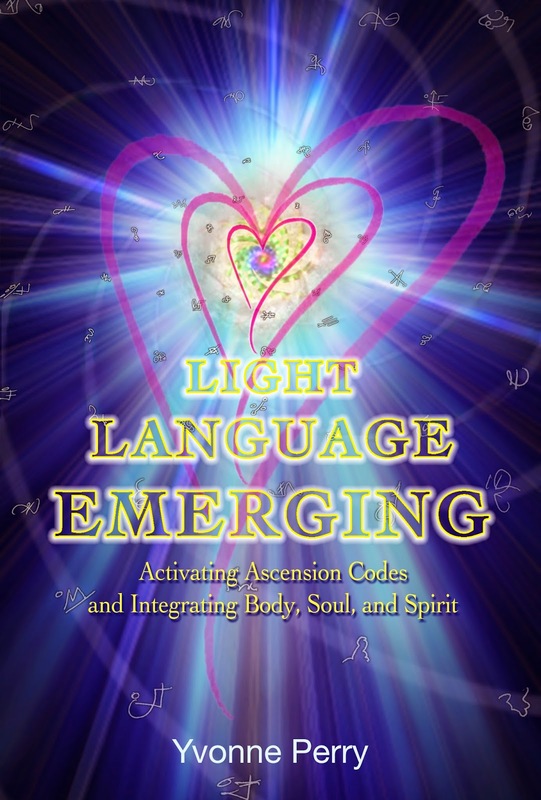 The NDE: The most common things experienced are: a feeling of unconditional love, a life review, being able to communicate telepathically, seeing deceased loved ones or angelic beings, seeing a light or tunnel, being given a choice of staying there or coming back to the present life, and accessing knowledge or record books pertaining to their life’s mission. 2. Spirit Communication: Most people who are energy sensitive are able to see, hear, sense or feel a presence in the room with them and are able to communicate telepathically with the being. Commonly, a bit of knowledge or a request is exchanged in the encounter. Irene: What is the difference between near-death or out-of-body experiences? Yvonne: A near-death experience occurs when a person is in a life-threatening situation or is actually pronounced dead then returns to the body. An out-of-body experience can occur during a life-threatening situation, or while in meditation or sleep (astral travel). Some people are able to have an out-of-body experience at will. Irene: You have had some “close calls” yourself. Tell us about your near-death experience. Yvonne: In 1977, I was burned in a grease fire that my brother and I set while our parents were not home. In my effort to put out the fire, I picked up the flaming skillet and started walking toward the door to get the pan out of the house. My hand caught fire, so I sat the flaming skillet down on the table to extinguish my hand. The tablecloth caught fire. I picked up the flaming skillet again and threw it through the screen door. Grease splattered everywhere; I slipped and fell to the floor. I was then aware of myself in two dimensions: from above the scene near the ceiling where I was looking down, as well as in my body as I sat inside the wall of flames. I remember feeling no pain; I was not panicking and felt totally peaceful even by the thought of dying. While my body instinctly kicked and tried to get out of harm’s way, I saw my life flash before my eyes and read a quick glimpse of my obituary in a newspaper column. I saw my parents saddened and grieving for me and I knew I had to live. It all happened in the flash of a second and when I re-entered my body, which had suffered 1st, 2nd and severe 3rd degree burns, I immediately felt excruciating pain and wanted to go back to the peaceful place where I had been hovering. The fire had completely gone out when I got up from the floor. I have not feared death since that day. In 1988, I had emergency gall-bladder surgery to remove a gallstone that was blocking my bile duct and causing my gall-bladder to perforate. Toxins were starting to leak into my body and I had a sense that I was dying. Even so, I knew everything was going to be fine and I felt no sense of panic or fear. I had seen a huge, bright light either in a dream-like drug-induced state or in an experience I had while under anesthesia. When I awoke in the recovery room, I asked if I was still in heaven. A nurse answered, “Not hardly.” I was so angry to be back in my body on earth and having lived through the surgery. I did not want to be here. It took me years to get past the feeling that I had somehow been cheated by having to come back. Irene: In More Than Meets the Eye you address suicide and some peoples beliefs as to what happens after suicide. What is your opinion of what happens to the person and what do you base your belief on? Yvonne: I no longer believe in a punishing God. I do believe that the eternal soul incarnates from body to body on its evolutionary path. I believe we create our own heaven and hell by the beliefs we own and the choices we make. Therefore, I realize that we are here for a purpose that our soul knows quite well regardless of what our conscious mind tells us. With certain things to accomplish in a lifetime, a soul who leaves a body prematurely will need to come back into a human body to complete the assignment. It only makes sense that a suicide is the result of a soul deciding to abort its mission. Once that soul reaches the other side, it realizes the mistake, gains insight about what needs to change, then prepares to come back to finish what it started. I base this upon what people have shared with me from their own supernatural experiences, research I have done and what the soul of a suicide victim showed me when I inquired of him on behalf of his mother who was severely grieving and troubled over what might happen to him as a result of his actions. Irene: You talk to souls of people that are deceased? Explain to our readers how you do this. Yvonne: I rarely initiate contact with a deceased spirit unless I am asked by a living relative and feel it is in the best interest of everyone involved to do so. However, there are times when I am in public that I accidentally tap into someone’s field. There are also times when I am alone and sense a presence wanting to make contact with me. In any of these instances, I may hear voices in my head that I know are not my own thoughts, or sense an energetic shift around me; I may feel a sensation as if someone is touching me, or I may see a mist or grey cloud hovering. Many times it is simply a sense of “knowing” some bit of information that has not been revealed to me in traditional ways such as sensing when a woman is pregnant when she hasn’t told anyone. There have been times when spirits, not so lovingly have tried to attach to me. One actually broke a glass bowl in my kitchen to get my attention. Since then, I have set strong boundaries with the spirit world and they know not to contact me, enter my home or tap into my field without my permission. I have asked my angels and guides to set a watch around me and keep out intruders who have foul intentions. This is very necessary for anyone who is energy sensitive and finds themselves picking up illnesses or experiencing mood swings that have no logical source. Irene: There are a lot of controversial thoughts around euthanasia, and you explain two types in your book. Late Dr. Elizabeth Kubler-Ross, a renowned expert on death and dying, has changed many people’s thinking about their last days of life. She felt that euthanasia robbed people from completing their lessons and resolving issues that occurred during one’s life. What are your thoughts on this subject and why? Yvonne: I respect and value Dr. Ross’s views about a soul needing time at the end of a life cycle to complete whatever unfinished business remains. I also consider the natural course of action a body in the same condition would have taken 100 years ago when we did not have life support technology and equipment. The most natural course for a body that has no hope of survival would be to allow the spirit to leave and the body fade away. Life support is a valuable tool for helping a person revive and live a healthy life. While each case is unique and should be approached individually, it is not usually in the best interest of the patient or his/her family to support a body in a vegetative state. Realizing that the soul has many more opportunities in the Afterlife and future lifetimes to resolve its issues and complete its evolution, it makes no sense to keep a soul imprisoned in a body that has no hope of recovery. Irene: If you were to take the most important point from your book and share it with your readers, what would it be? Yvonne: Listen to your inner voice, intuition or Holy Spirit (whatever you choose to call it) and you will find direction in fulfilling your life’s purpose. 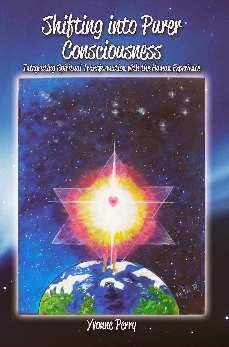 Interact with your guides and angels. Grieving the loss of a loved one is normal and everyone needs to allow themselves to feel legitimate emotions. However, the fear of death is an irrational fear. Death is just another realm of consciousness for which our spirit is preparing to enter. Letting go is much easier when you know that your loved one, not bound my human restraints, is happy and able to be near you in spirit. Irene: Is there anything else that you would like readers to know about you or your book? Yvonne: Make sure you have a living will. This removes your family’s burden and any guilt associated with making critical medical decisions for you should you be unable to do so. There is a free copy of a legal living will that you may download from my website: www.writersinthesky.com. To calm the fear that stalks relentlessly about. I wrote this book to help people prepare for a peaceful and successful transition, to alleviate the fear associated with the dying process and to remind us to make the most of our very precious lives. Although I have had a few “close calls” with death, I do not a consider myself to be an expert in the field of dying or afterlife research. However, I have always been intrigued by the mystery of crossing over to the Other Side. As a child it was common for my parents to take me with them to Lownde's Funeral Home when someone from our church died. The experience did not upset me. In fact, I actually enjoyed trying to read the cursive writing on those tiny cards tucked between the mums and roses! I felt peaceful with the soft music and floral-scented atmosphere as I pretended to be Goldilocks trying out all the different chairs in the parlor. I can remember sitting in church and listening to the preacher talk about Heaven. If Heaven is so wonderful, I reasoned in my young mind, why are people so sad when someone dies and goes there? As a young adult, I watched my family deal with our own critically ill loved ones, and was again puzzled by their hesitancy to let them go. As an adult, I enjoy strolling through old cemeteries and reading the headstones of the dearly departed. I daydream about what each person was like while living and wonder what they are doing in the Afterlife or if they have returned for another stint on Earth. These experiences and my desire to help others overcome their fear of death have been a catalyst for writing this book. More Than Meets the Eye is not an authority on death and afterlife. It is simply a collection of stories people have shared with me, as well as a few of my own observations, opinions and experiences thrown in for good measure. Some who read this book may soon be preparing for a transition to the Afterlife. Others may be caregivers, friends or family of a critically ill patient who is near the end of this life, or has recently passed. Others may have experienced a close brush with death and then lived to tell about it. I am indeed grateful to the people who shared their experience with me during the writing of this book. I trust that the stories will offer hope and yes, even excitement, when you help a loved one pass, or when you face your own transition.